If you’re inspired by the idea of filling one's heart with an overwhelming sense of harmony and peace, Euphoria is a beautiful fit. Also known as the “Water Princess”, Madagascan Pistachio Opal reveals its shiny splendor only if submerged in liquid. ViA LOOP availabable in black and white. Every ViA LOOP consists of two silicone pieces: One to cover the top lid and one for the bottom lid of your ViA bottle. Simply pull each piece over each lid and make sure that it fully lips over the outer edge of the lid. Press on each piece to squeeze the air out. ViA LOOP is the perfect solution to safely carry your precious ViA bottle in style. Along with exercise and a balanced diet, nothing supports an active lifestyle better than enough fresh water. Drinking water first thing in the morning is an easy way to speed up your metabolism. Make a start, put on your running shoes and fill your water bottle with "Fitness" GemWater. Traditional Chinese Medicine has developed over the last 5,000 years and understands health as a harmonious balance of five elements: Wood for growth, water for reflection, earth for grounding, metal for strength and fire for passion. Emerald is a crystal of the heart. It stands for renewal and regeneration like no other. Many believe emerald to have rejuvenating and restoring effects. It is also said to promote self-esteem. Drink emerald-infused GemWater and become vital. Get inspired by enjoying a glass of GemWater from this enchanting combination of rutilated quartz and the deep, celestial blue lapis lazuli – a symbol for spirituality in ancient Egypt about 6,000 years ago. The beautiful, golden-streaked rutile is said to energize and to improve awareness. VitaJuwel is revolutionizing the way to prepare vital and fresh water at home. 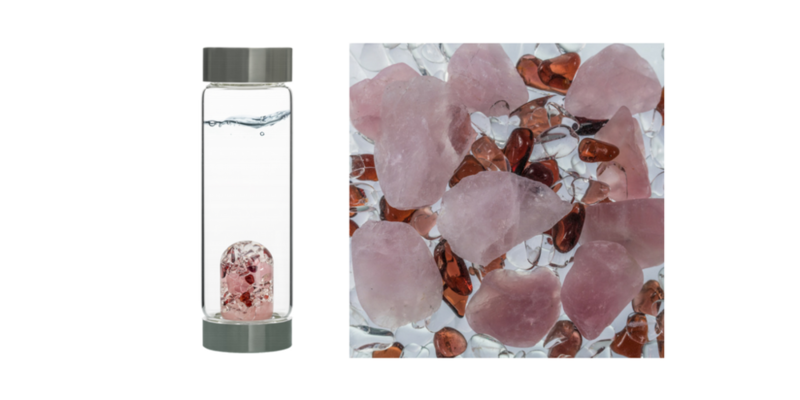 Following age-old traditions, VitaJuwel created gemstone vials to hygienically inspirit drinking water. Their vision now and then is to provide you with homemade, natural gemwater like fresh from the spring! 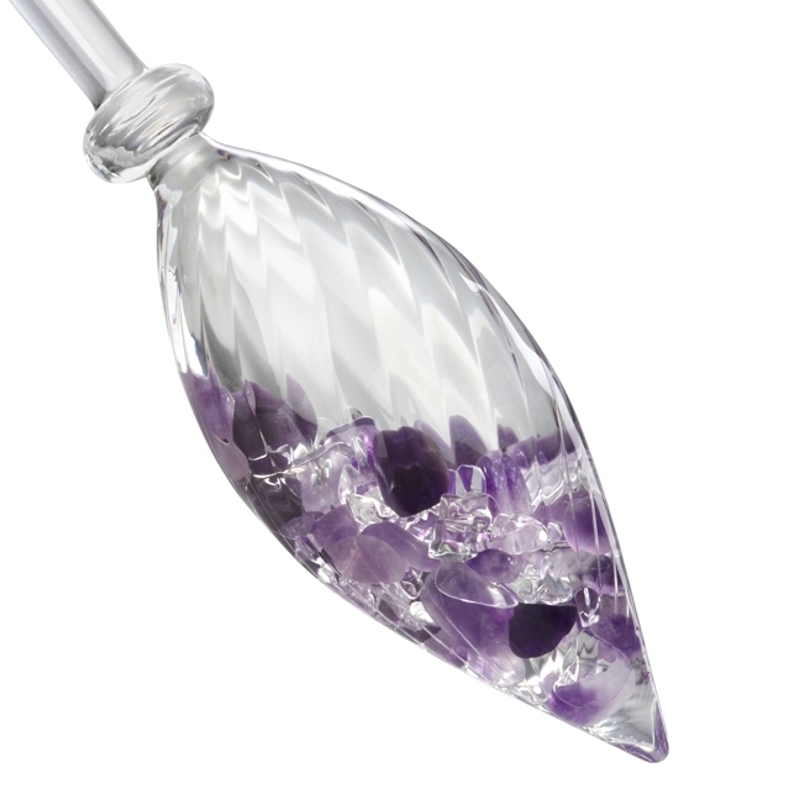 VitaJuwel gem vials are made from lead-free glass and hand-picked gems. 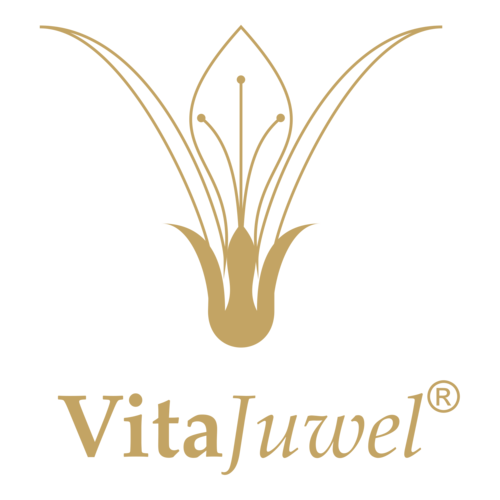 VitaJuwel offers several different gem blends, tested by naturopaths and based on the insights of modern crystal healing. Their scientifically proven efficiency make them an essential accessory in health-seeking households worldwide. All of VitaJuwel's products are designed with devotion in the German alpine uplands, tested by friends all over the world and traditionally hand-crafted in a patented, artisanal method by master glassblowers in Bohemia. Click here to learn more about the fascinating variety of gemstone blends. A neutral sample with tap water from Überlingen at the Lake Constance and a sample of the same water after being treated with VitaJuwel.